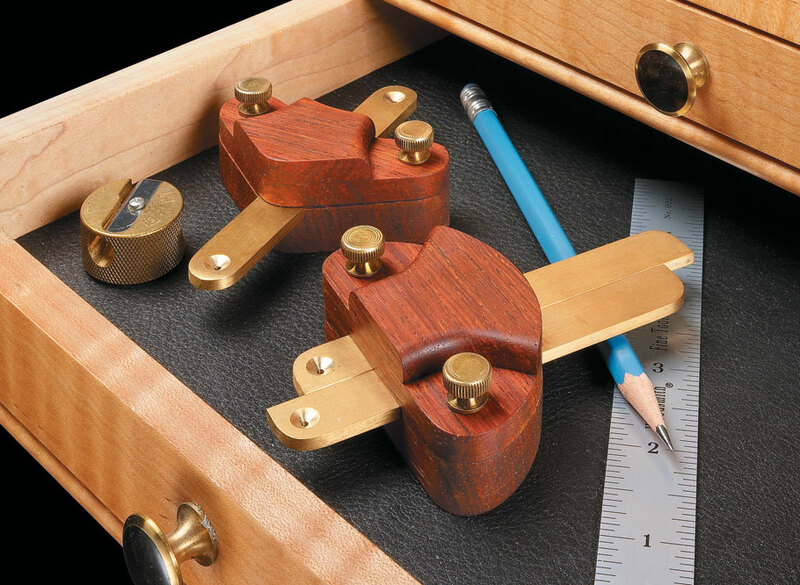 Exotic wood and polished brass come together in a pair of handy layout tools. 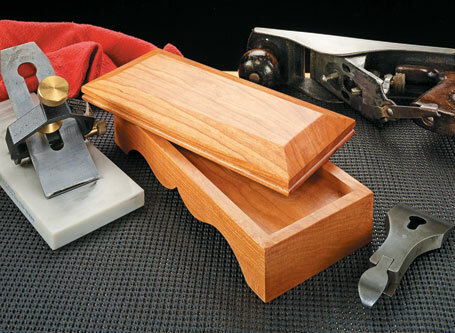 Layout is one of the first tasks in any woodworking project. 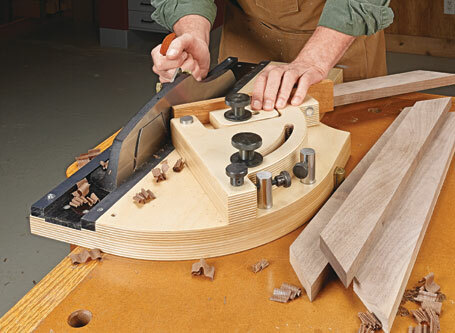 These two shop-made layout gauges can help make that task easier and more accurate. 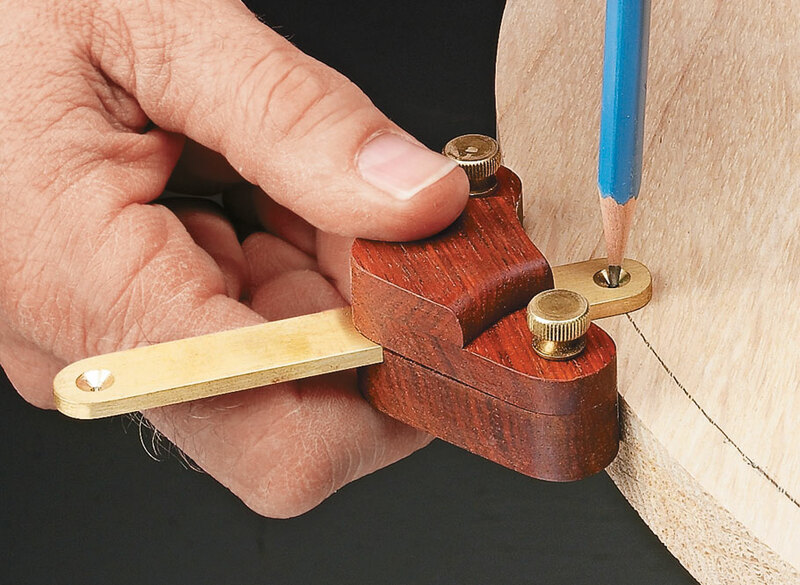 The two gauges work as a team to handle both straight and curved layout work. 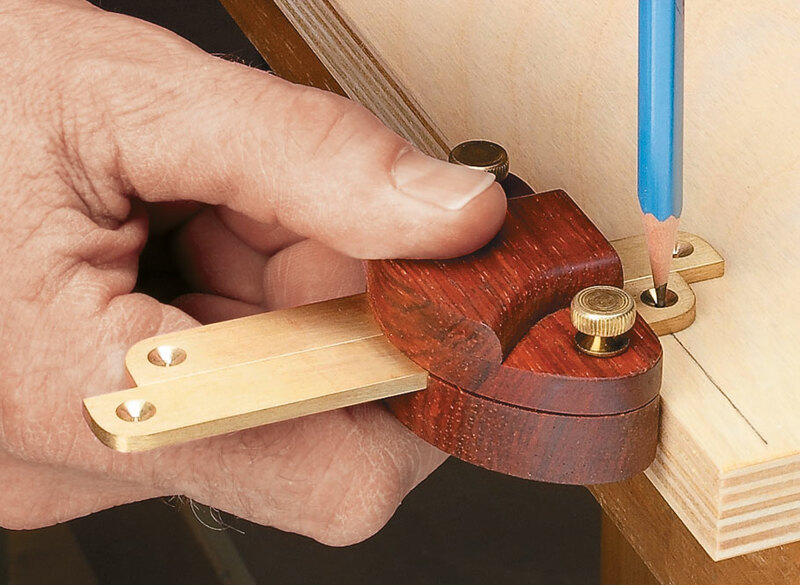 The pencil point fits into small countersunk holes in the end of each adjustable brass bar for making quick, accurate layouts. They’re a great way to use up small pieces of scrap you just couldn’t throw away. 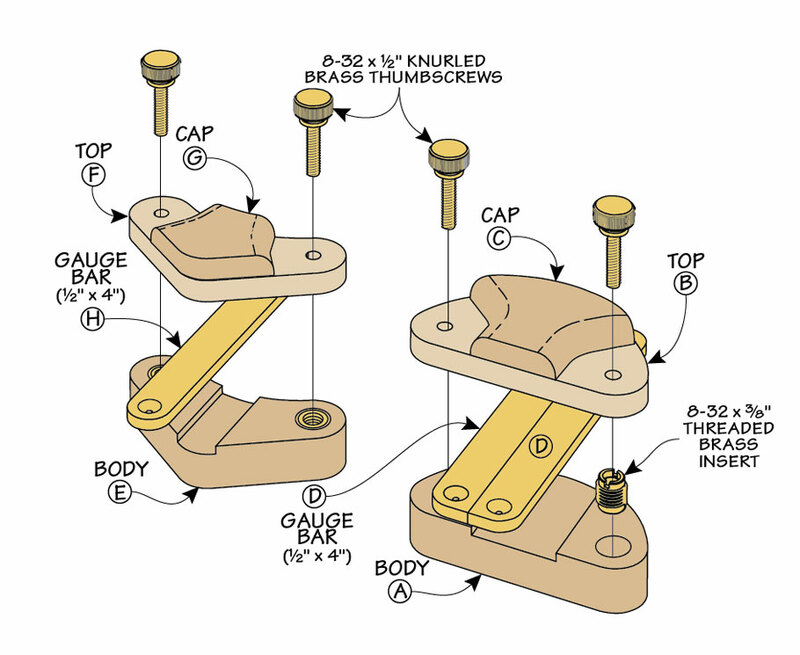 Plus, you can start on them in the morning and be using them on a new project in the afternoon. 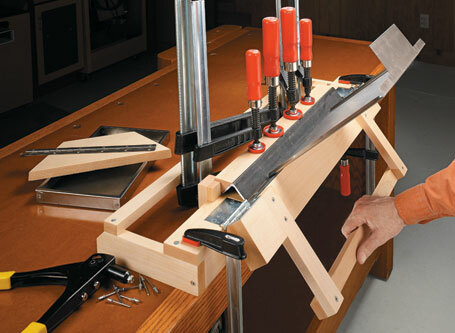 Fine-tuning the joinery on your projects is a cinch with this must-have, precision bench accessory.